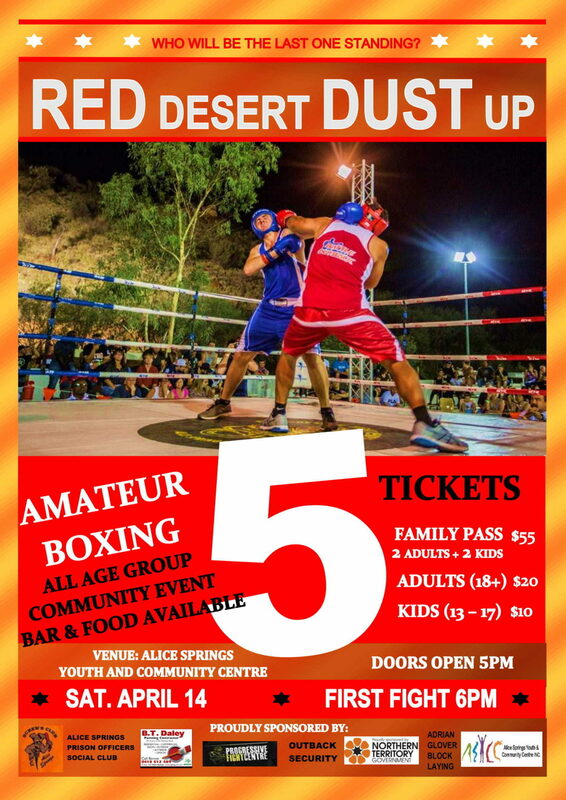 The count down is on for this years Red Desert Dust Up amateur boxing event. Taking place on Saturday the 14th of April. Food and beverages available. Bring along your family & friends for a thrilling night! Tickets available at Alice Springs Youth & Community Centre.